The media arm of ButcherBox is currently undergoing some major upgrades. In the back of an old, nondescript building in Peabody, a city north of Boston, a test kitchen and studio is slowly emerging in a space that was, until a couple of months ago, a desolate warehouse filled with long-forgotten antiques. The test kitchen, a project overseen by ButcherBox in-house chef Yankel Polak, will serve multiple functions. 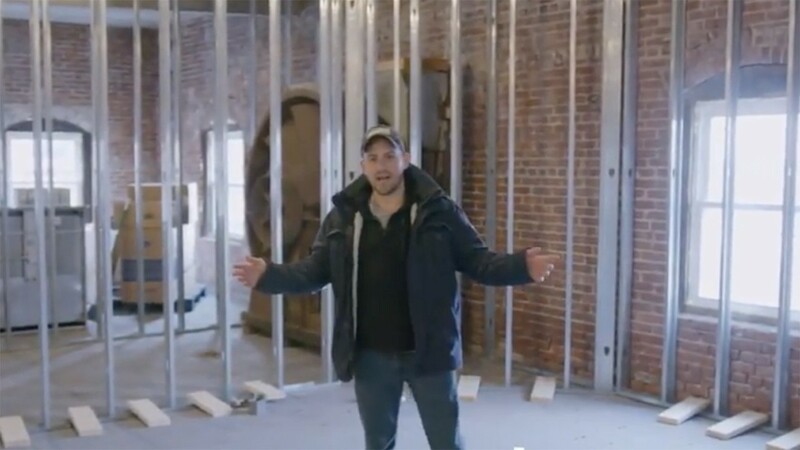 It will be home to ButcherBox employees living north of Boston and will also serve as a meeting space for the team members tasked with developing the different types of content we share with our members. The kitchen’s primary function, however, will be to serve as the creative workshop for Chef Yankel — ButcherBox’s secret weapon. He and his team of cooks and creatives will develop mouth-watering recipes, how-to videos, and other informational content in innovative ways to give our members a better experience beyond the box. If you’ve seen any of our YouTube videos — I’d recommend the Holiday Special — Beef Tenderloin one — you’ve seen Chef Yankel working his magic at either at a small studio kitchen that we rent on occasion or the home kitchens of ButcherBox’s employees. Soon enough, he’ll have a lot more tools at his disposal to whip up his wonderous dishes. On the grey winter morning that I met him at the future test kitchen, his excitement to get cooking in the space was evident. As you can tell, in its current state, you need a bit of imagination to envision what it will look like once complete. As Chef Yankel explained on the day I stopped by, the kitchen will have an island that will be removable. When not in use, it will serve as a bar for people to sit at during interactive shoots or when the kitchen hosts events. There will be multiple cameras mounted throughout, as well as lighting rigs and LED mounts, allowing us our film crew to capture all the angles of the space. The test kitchen will have all new equipment thanks to a partnership between ButcherBox and Thermador. When showing off the incredible cooking technologies that will soon fill the space, Chef Yankel is like a kid in a candy store. “We have a 60-inch range. It’s got six burners, a grill, and a flattop,” Yankel says proudly standing by the gear. Additionally, the kitchen will feature a custom 7-foot hood, two convection ovens, one which is also a steam oven, a dishwasher, a wall oven, and a boatload of safety equipment. Outside of the kitchen, there will be offices as well as a patio-style area that will house a massive farmers table, and eventually, a hydroponic herb garden. “As soon as we get up and running, we are going to be shooting here much as possible,” Chef Yankel said. And while this isn’t the first kitchen our chef has built, the uniqueness of constructing one that is both a cooking lab and a film studio has been an educational experience for Chef Yankel. “There’s been a major learning curve,” he said. “But even harder than building this is shooting the videos. Right now, we are just following some plans and putting the space together; once the cameras start rolling, I will actually have to engage with a camera,” Chef Yankel said, laughing, as we left the space. As we get closer to opening the test kitchen, we will continue to update its progress. However, members will know that we’re up and running once they see an influx of amazing recipe videos and more coming out of the new creative studio. This post first appeared on the ButcherBox blog, Roam. If you want some of the delicious, healthy meat mentioned in this post, subscribe by clicking here or on the banner above.